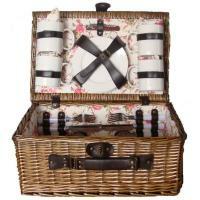 This wood material picnic box has been patented by us, so you can only buy it from Picnic & Beyond. 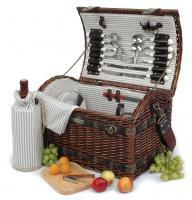 • Size: 17.25"x 11.25"x 12.25"
At Picnic & Beyond Inc., we combine European style with the great American tradition to bring you a huge assortment of quality picnic baskets, picnic backpacks, wine baskets and other picnic accessories. 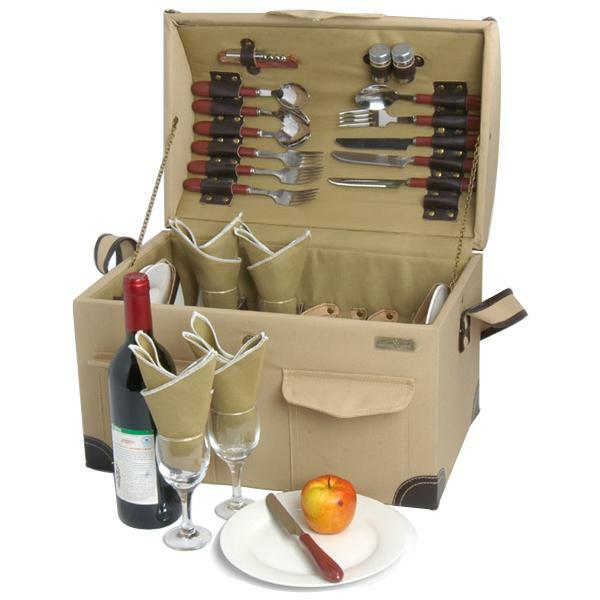 It is our mission to bring you the finest products so you can have the ideal picnic while maintaining the ease and carefree spirit for today's lifestyle. Since 2005, our fast growth and strong customer support has allowed us to become an industry leader and our commitment to our customers remains steadfast. Our team of professional designers create hundreds of new fashionable designs each year. 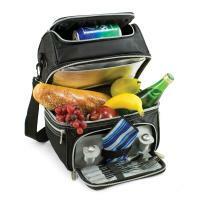 This enables us to offer our customers unique picnic baskets, picnic backpacks and accessories in a variety of colors and prices to fit everyone's budget. We at Picnic & Beyond, Inc. truly believe that memorable moments and the great outdoors are necessary to the enjoyment of life. We look forward to building partnerships and relationships with you that will ensure your happiness in the value and integrity of our brand. Whatever the occasion, we assure you that we have the perfect gift to help create your most special memories. • Shipping Carton Size: 18"x 13"x 14"
• Shipping Weight: 20 Lbs.